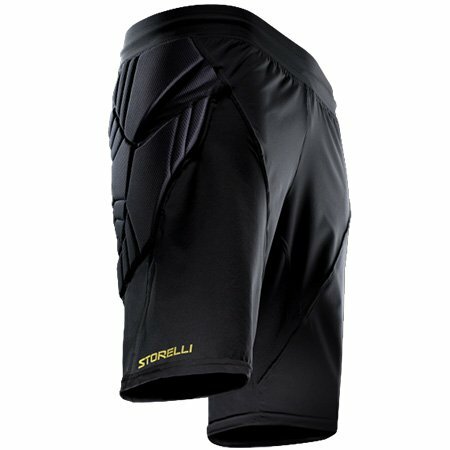 Unique board short style outer GK short with hard-core protection to the external side of the leg with high-performance foam optimized for impact-absorbsion and comfort. Impact Resistant: padded goalkeeper shorts provide hard-core protection to the external side of the leg with high-performance polyurethane foam optimized for impact absorption and comfort. Lightweight: Premium moisture wicking compression sleeve fabric optimizes comfort and breathability, while enabling an aggressive look that will make your legs look like a caped superhero’s. Flexible: Designed for optimal movement and adaptability, makes you quickly forget you are wearing extra protection. When you run through your opponents’ tackles, on the other hand, they will not forget.